The creative trio from Little Birdie Secrets are sharing the most clever homemade butterfly net! The three little birdies write…..
After having two boys, I’ve learned to love bugs. At least from afar. But my boys will pick up any insect they come across and want to know everything about it. 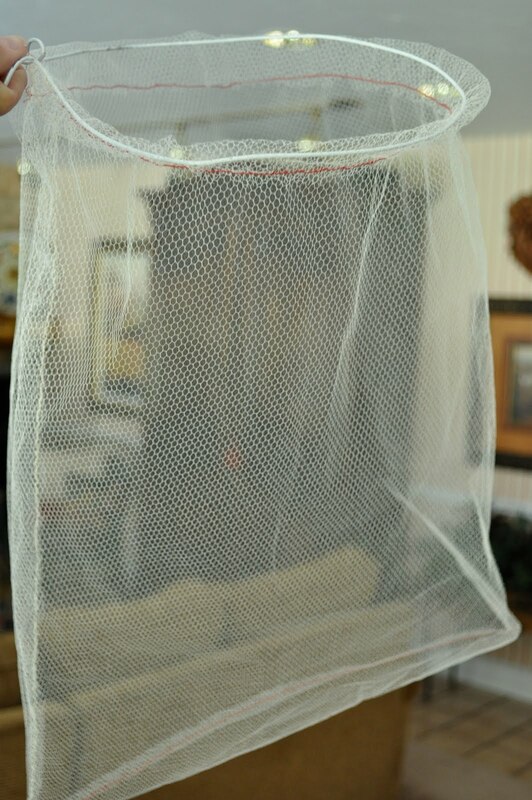 This summer we plan to catch and categorize as many bugs as possible, so I made a simple butterfly net to aid us in the capture of insects of the Lepidoptera order. 1. Start by painting your dowel (if you want) and letting it dry. 2. Take your wire hanger apart and bend into a circle about 9 inches in diameter, leaving long ends to wrap around dowel. 3. Fold your piece of tulle in half. Using a zig-zag stitch, stitch across the bottom and up the long side to create a bag. 4. 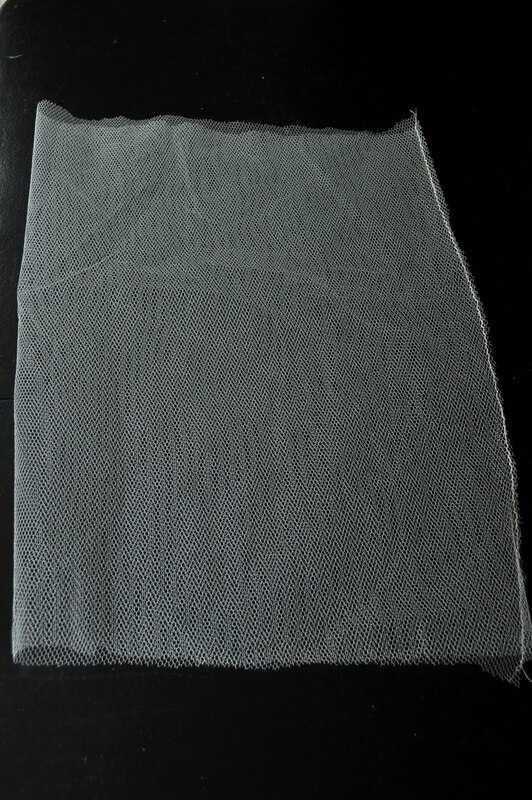 Next, create a casing in the top of your tulle bag. On the open end, fold the top over about an inch and a half. Starting at the side seam, measure over about one inch and start zig-zag stitching around. Stop about one inch before you get back to the beginning. This leaves an opening to insert your wire hoop. 5. Thread your wire hoop through the net casing. I put a little electrical tape on the end of the wire to make it easier to thread through the netting. 6. With your net on the hoop, wrap and twist the ends of the hanger around one end of the dowel. Cut ends off with a wire cutter if necessary. 7. Cover the wire with electrical tape to make it sturdy (and to protect little hands from the ends of the wire). 8. To reinforce the net, I took a yarn needle and a narrow piece of ribbon and whip-stitched around the edge. Then I weaved the end of the ribbon around the dowel and tied it in a bow. It’s a little cutesie for my boys, so this one may go to the nieces. That’s it! Go catch some bugs! For more creative ideas visit Little Birdie Secrets! We made this. Thanks! We don't use ours to catch pretty butterflies though because their wings are so delicate....grasshoppers, Japanese beetles, etc. are fair game!!!! We just loved this project! We modified it just a bit.... we had a "produce bag" already sewn into the shape of the net AND already featuring a casing. The bag helped us save a step or two in creating the net. Going for a more "natty" or "woodland" look, we used a manzanita branch for the handle. The electrical tape looked a bit out of place with the natural handle, so we used some decopauge and burlap to cover the tape. Thanks for sharing your detailed instructions. It turned out just adorable! Best tutorial I have seen on making a butterfly net! Pictures are great and explanation simple and exact. Thank you. I'm sure you mean well, however, every time I see one of these butterfly nets I flinch. I believe that children should be taught to respect the animal kingdom, even butterflies. Leave them be to fly and live out their lives and then derive enjoyment from simply watching them flutter by. Afterall, butterflies serve an important purpose in the ecosystem. I do enjoy your tutorials and find much useful information on your site. Thank you. Cool! My eldest wants to go butterfly catching and has been asking for a net. Not wanting to be seen to be buying them every little thing their hearts desire, I've been holding out. But I have no problems whatsoever with buying the supplies and MAKING one. So now I will! Thanks for the tute! Ok, love it and better yet my kids will love it. I have everything I need to make this except for the dowel and those are pretty easy to find. Cindy, hey! this is so cool. when you get a chance, can you shoot me an email? not sure mine is getting through.